What Is Wind & Hail Roof Damage? As a property owner, you understand that the integrity of your roofing system is key. There is no bigger threat to your roof than storm damage. This means that wind and hail can potentially be the biggest causes of damage to your roof. Your roofing system is designed to be durable and withstand some weather-related punishment, but there is some wind and hail damage that is just too overpowering and severe to be combated. The type of shingles that you have installed on your roof makes a difference because each can be rated differently. This means that you need to know what hail and wind damage can do to your roof and how you can prevent against it. Hail and wind damage is unavoidable in most areas, but you have the ability to be prepared for any storm damage that occurs to your roof by being better informed and proactive about roof maintenance. You might think that hail storms are not all that common, but you would be mistaken. When hail storms do hit, they often wreak havoc on a large area and can cause roof damage to many surrounding homes. This means that you need to be aware of how damaging hail really can be to your roof. Hail storms happen a lot more frequently than most people realize and they can be devastating. The roofs that are most prone to damage due to hail are those that are worn. This means that you need to make sure that the roofing system on your property is not too old that it is more vulnerable to hail damage. However, it is even possible for new roofs that have just been installed to also be damaged due to a hail storm. It is possible for hail that is big in size to actually go through the surface of the shingle if there is enough force. 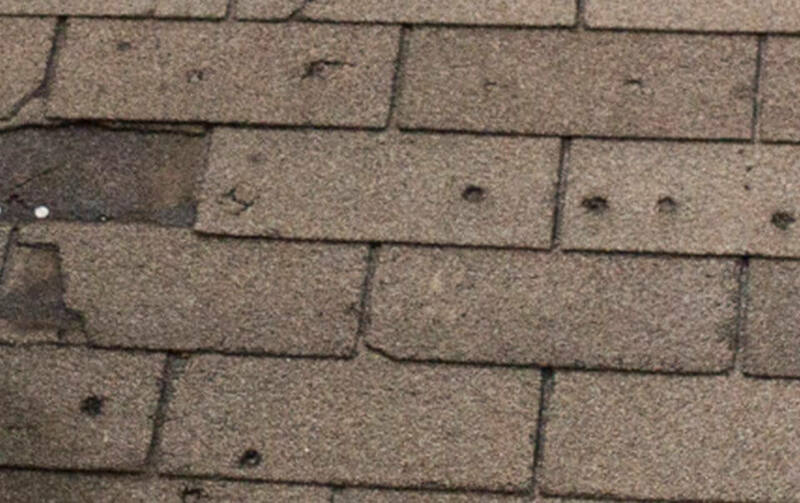 If you are looking to evaluate roof damage after a hail storm, it is a good idea to be on the lookout for dark marks on the surface of the roof. These are the spots that have been hit by the hail and have been compromised. 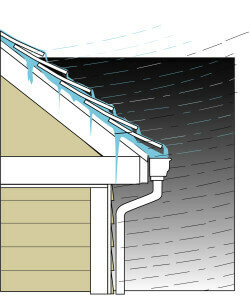 When parts of your roof have been it by hail, this makes them more prone to leaking. If you do not want to have to deal with leaks on your roof, it is a good idea to get your roof inspected after a hail storm. 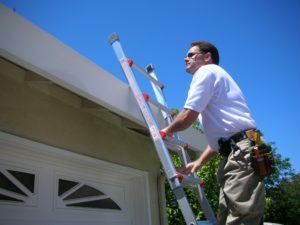 This will enable you to see if any parts of your roof have been compromised in any way. 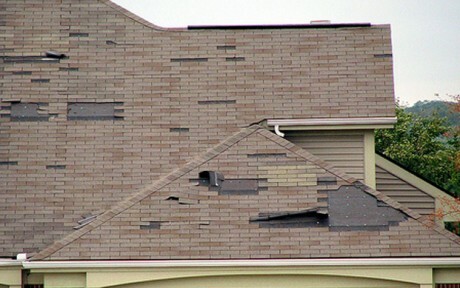 A little wind might seem like no competition to a roof, but wind can actually cause much more damage than you realize. The most common damage done to your roof by wind is damage to your shingles. Not only can shingles be removed, but it can make certain parts of your roof more vulnerable than others. A wind storm features winds that can gust at a high rate. You are most prone to wind related damage occurring to your roof if you live in regions that experience tornadoes and hurricanes. These are storms that feature winds that gust at very high rates. This has enough force to actually blow shingles off of the roof altogether. If you want to prevent against wind damage occurring to your roof, the only thing that you can do is make sure that it is maintained properly and that there are not any vulnerable areas on your roof. This is really the only way to prevent wind from causing extensive roof damage. Not only can the wind itself cause damage to your roof, but wind storms also result in objects that could be blown onto the surface of your roof and cause damage. As you can see, hail and wind can be pretty damaging to your roofing system. You might think that the storms passing through will be minor, but you never know the type of long-term damage that can be done to your roof. This means that after a storm of any type occurs, it is always a good idea to have your roof evaluated to make sure that it is not vulnerable to any more damage in the future. You should always act fast at the first sign of storm damage to your roof. It is important to remember that storm damage to your roof will only worsen with time and it is unavoidable that another storm will occur again shortly. Having your roof inspected by roofing professionals after a wind or hail storm is ideal. This will enable you to have the necessary repairs completed in the shortest amount of time and increase the integrity of your roof before another storm blows through your region and causes even more damage. https://knoxvillesroofing.com/wp-content/uploads/2016/06/Roof-Wind-Damage-Knoxville-2.jpg 288 460 Eric Keith https://knoxvillesroofing.com/wp-content/uploads/2015/03/Knoxvilles-Roofing1-300x195.png Eric Keith2016-06-29 13:33:502019-03-15 00:31:10What Is Wind & Hail Roof Damage? Two of the most common elements of a huge storm passing through the area are high winds and heavy rains. If you begin to notice that there is a damp spot appearing on the ceiling in any room in your home, it could mean that there is an issue with your existing roof system. This may be the first time that this has occurred, in fact, you may have had a calmer storm earlier in the week that didn’t cause any water spots. This will leave you wondering, what is so different about this storm? The majority of the calls we receive are customers that are concerned about leaks that have occurred after a storm that had wind driven rains. In most cases these home owners state that the roof or ceiling will have a leak during such storms but not during regular rainfall. When you consider rain falling vertically onto the roof, it will be more likely to drip off like it’s supposed to. Whereas if rain is being thrown around by the wind in a more horizontal pattern, it can force water to enter your roof in ways that you didn’t know where possible. Wind driven rain can be dangerous for any type of roofing material and it can affect even the newest roofs that have been recently installed. It will be able to make its way past shingles, chimneys, windows, walls, skylights, siding, and more. In the event that you notice your home is being affected by wind driven rain, it’s time to call the professionals. A qualified roofer will be able to make their way out to your property to assess your existing roof and see if there are any problem areas to take into consideration. Once they have evaluated the damage, they will devise a treatment plan to help repair the issues with your approval. Making sure that you get routine maintenance on your roof is essential to protect the integrity of your home and its structure. If a large storm passes through the area and your home experiences damage, it is imperative that you contact a roofing professional as soon as possible. This is because the longer your house remains damaged, the greater risk there is for more damage to be made. You could find yourself faced with rotting wood, mold, and extensive forms of water damage. Make sure that you call our team ahead of time to save the most time and money. https://knoxvillesroofing.com/wp-content/uploads/2015/08/Wind-Driven-Rain-Knoxville-Roof-2-2.jpg 300 249 Eric Keith https://knoxvillesroofing.com/wp-content/uploads/2015/03/Knoxvilles-Roofing1-300x195.png Eric Keith2015-08-23 16:23:102016-11-14 16:50:31What is Wind Driven Rain?